Stupid title? Not so sure. 18 years in the industry and hours of research show that this is a much overlooked venue. 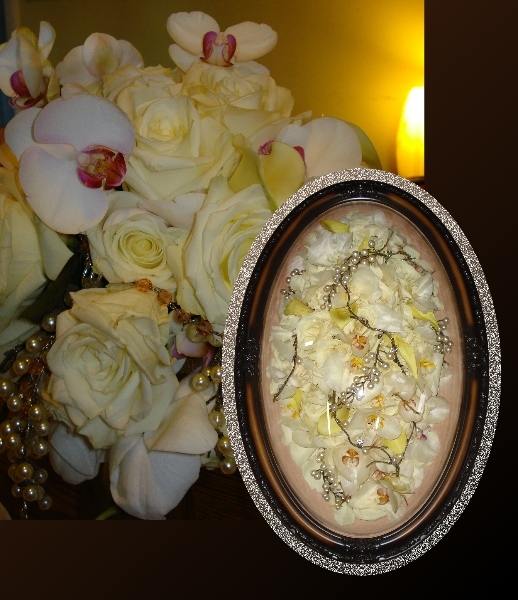 Even the wedding industry rarely mentions floral preservation on its’ “to-do” lists for the bride. Yet here’s the problem – it IS one of the first things the bride thinks about when her actual wedding day arrives! The usual scenario goes something like this: Doorbell rings, florist arrives with flowers, bride is mesmorized by her beautiful bouquet. Never in her wildest dreams did she ever realize how beautiful those flowers would be. That’s when she decides she wants them saved. Mom is left with the task of finding someone AFTER the wedding is over. Brides – get this on your list of things to do before your wedding day. Don’t be caught off-guard by the beauty of your flowers and then have the chance of them being ruined because you didn’t take the time to check out your options. 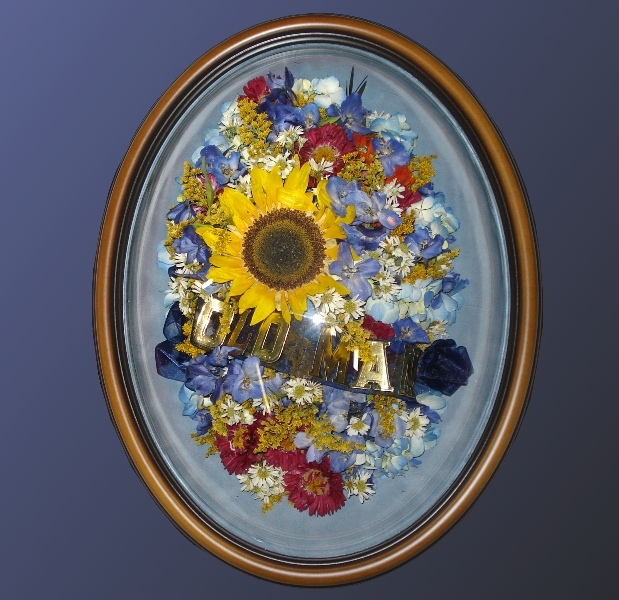 Check out the internet for floral preservation in your area or nearby area. Many times your florist will know of someone who is skilled in this trade. It doesn’t always have to be a wedding bouquet that’s saved. 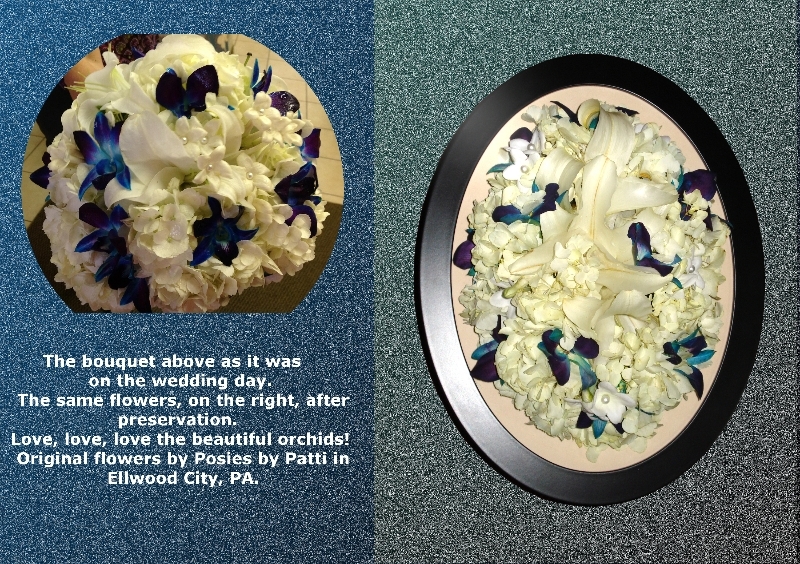 These flowers were given to the bride to be at her bridal shower! 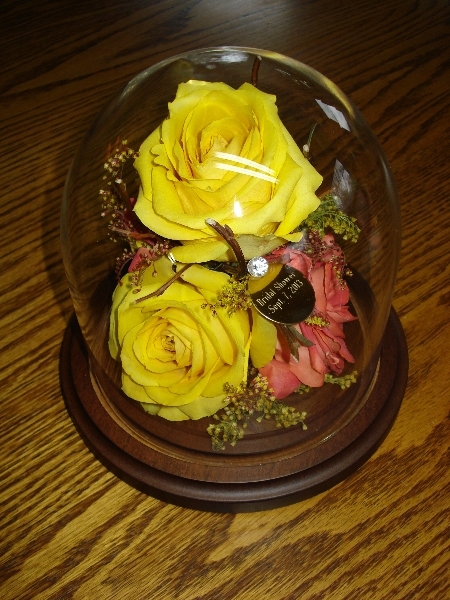 The flowers were HUGE and gorgeous when I got them and I could only fit a few in the table dome that she wanted. Here’s hoping her “now” husband will continue to shower her with such beauty all their married life! PERFECTION. Isn’t that what we all strive for? Is that even realistic? Well………..you won’t get perfection with me! (perhaps I’d better clarify). What you bring to me is what you are going to get back when the product is finished. If your flowers have arrived beaten up, smashed, browned on the edges – well – that’s what’s going to be returned to you. (Click on the picture for a closer look. You’ll see the browned edges on the roses.) Unless you have given me instructions to go purchase new flowers then you’re going to get back exactly what you gave to me. But isn’t that the best anyway? 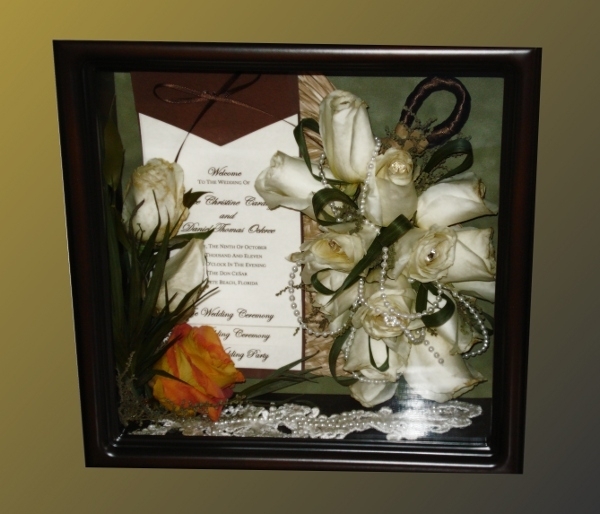 As I’ve said in the past – I’m sentimental – and I would want the flowers that were the ones actually carried down the aisle or were on that casket at the funeral home. So…..I do not promise perfect flowers………..but I do promise to do my best with what you have given to me. And it is an honor to do so.